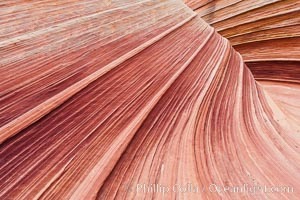 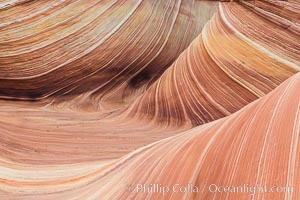 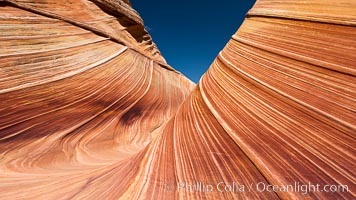 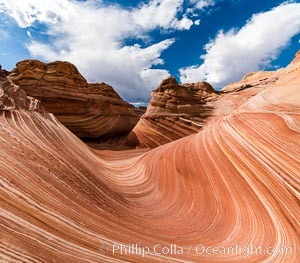 Panorama of the Wave. 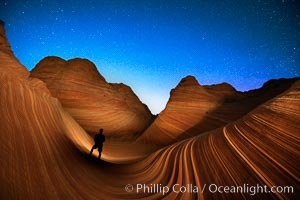 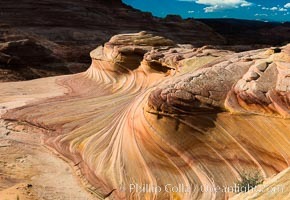 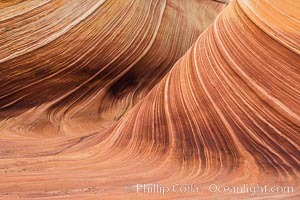 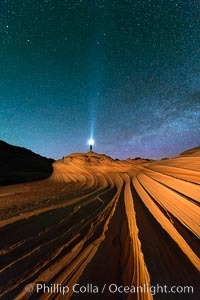 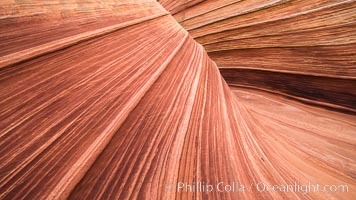 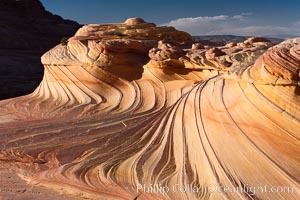 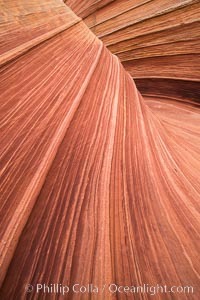 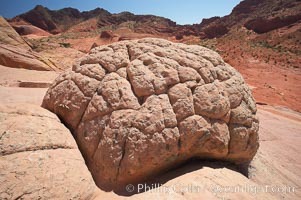 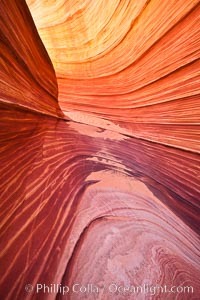 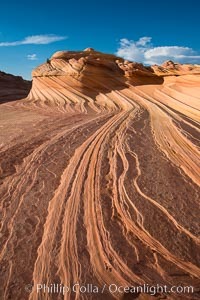 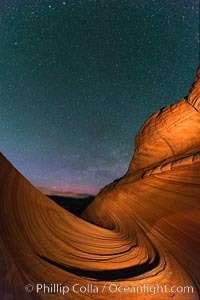 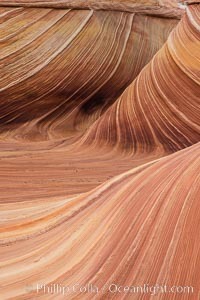 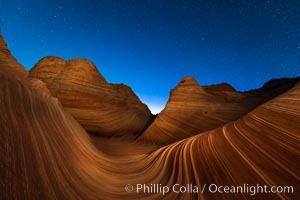 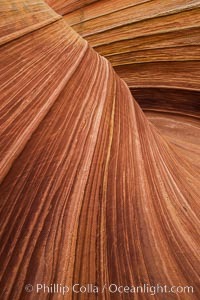 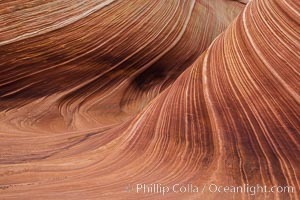 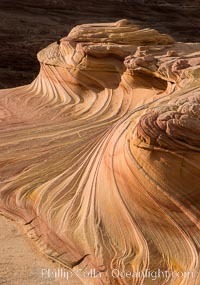 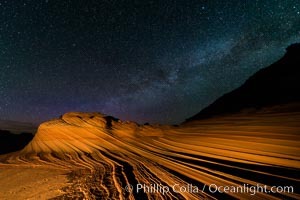 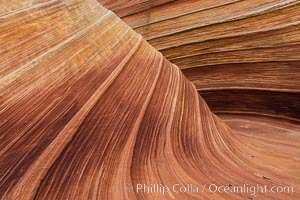 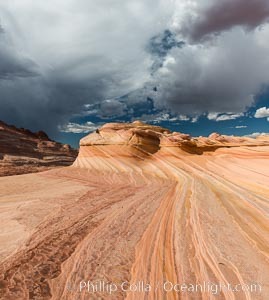 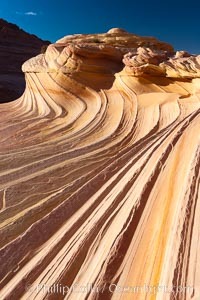 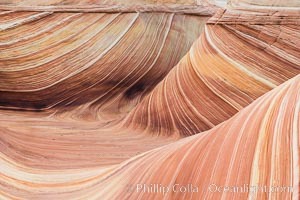 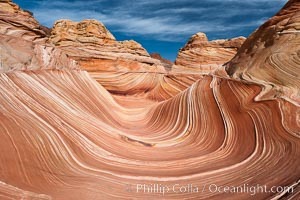 The Wave is a sweeping, dramatic display of eroded sandstone, forged by eons of water and wind erosion, laying bare striations formed from compacted sand dunes over millenia. 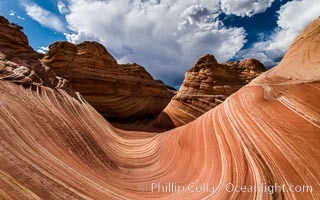 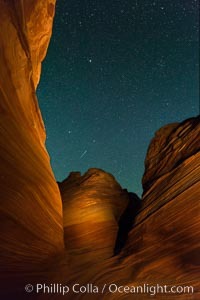 This panoramic picture is formed from thirteen individual photographs.